A great lipstick can spruce up even the most basic looks. If you’re a fan of a bold statement-lip, you’ll love this season’s trending colors. While it never hurts to consult the experts at your local cosmetics counter, we have some basic tips to help you pick the right shade for your skin tone. 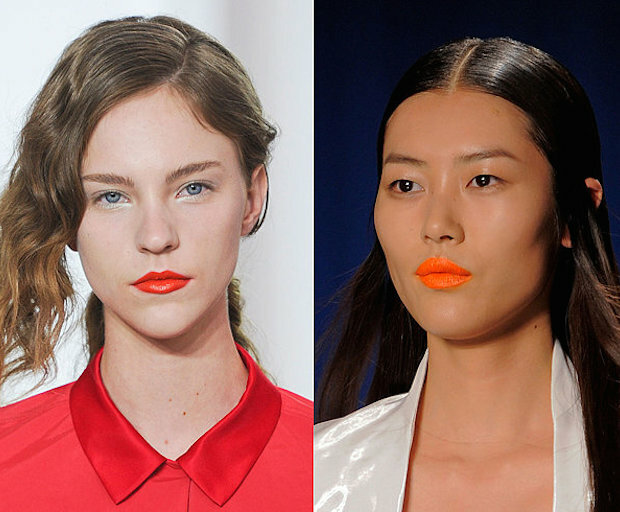 Orange appears to be the pick of the season, featuring in several runway shows for Spring/Summer 2014. If your skin has pink undertones opt for coral shades. Yellow-based complexions will suit bright, neon oranges, while those with olive skin and dark hair, like Camilla Belle, should go for a true orange. Similarly, dark-skinned beauties should stick to warm colors. The rest of your make-up should be minimal when donning a classic red lip. However, for a night on the town, you might want to pair with some dramatic eyes. For the best shades for pale skin, Jessica Chastain will show you how to wear pink and cranberry hues. True reds are better for medium-olive skin, while deep reds with blue undertones compliment dark hair and skin. Natural make-up is back! To avoid looking washed out, a neutral lip colour should be slightly deeper or browner than your skin tone and worn with a gloss. 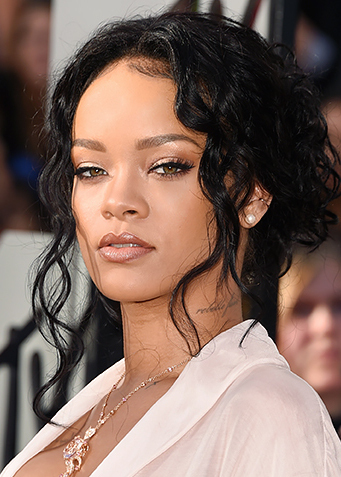 Rihanna nails it every time. Handy tip: Before applying, exfoliate and moisturize the lip. Then, outline the lip first using a lip pencil. For longer lasting lip color, use the pencil to fill in the lip, providing a base for the lipstick.